“Our main purpose in visiting the prime minister was to present our demand for a separate Gorkhaland to him. We have requested the prime minister to set up a committee to consider the demand, and he has assured us that he will,” said Gorkha Janmukti Morcha (GJM) general secretary Roshan Giri in a press statement after meeting the Prime Minister in New Delhi on March 23. This meeting comes at a time when Darjeeling district is headed for municipal polls in May, in which the Trinamool Congress in power in the state is trying to make inroads in the hill district. The demand for a different state of Gorkhaland by the people of Darjeeling and surrounding hills has been a recurrent factor in Bengal politics since the time of independence when it was unceremoniously added to the Bengal Presidency by the British. Since then, it has been a part of Bengal, although the States Reorganisation Commission had predominantly arranged the Indian states on the basis of languages spoken in 1955. 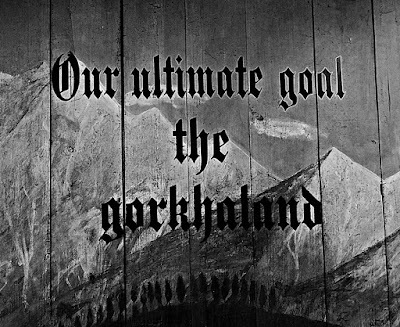 Darjeeling consists of a large Nepali-speaking community. The CPI (M) in power for 34 years in Bengal practised an appeasement policy, giving in to sundry demands of the GJM, but never really taking their demand for statehood seriously. However, with the victory of Trinamool Congress in the state, the GJM and the people of Darjeeling feel more disillusioned and there has been a re-emergence of the demand for statehood. This is basically a reflection of the divide and rule politics that TMC is following by creating new development boards for the different communities in Darjeeling and areas around it, namely – the Tamang Development Board, Lepcha Development Board and giving district status to Kalimpong. In the run-up to the municipal elections, Mamata Banerjee has announced the formation of more boards for better governance. The people in Darjeeling are looking at it as a political move to decentralise the power of GJM and divide the people according to their ethnicities so that the support for a united Gorkhaland gets scattered. The present fight for Gorkhaland is a search for the lost identity of Gorkhas, who have to learn either Bengali or Hindi to get enrolled into government schools and organisations. Although Nepali is an official language of the state, it is hardly used anywhere else other than in the Darjeeling hills and the Dooars region. The tea industry in the hills is also suffering as many tea plantation workers argue that the state government does not care for the workers’ rights. Often the workers are not paid the minimum wage and the Bengali tea garden managers exploit them ruthlessly, says a young Shiv Tamang, whose mother as well as father have been working as tea cultivators at Sukna village near Darjeeling for the last 25 years. In the name of tourism, the government is making money in the hills, but very little trickle down to the people of the hills. According to many in the district, the current movement for Gorkhaland is a fight to ascertain their identity as Gorkhas, which only a separate state can give them. 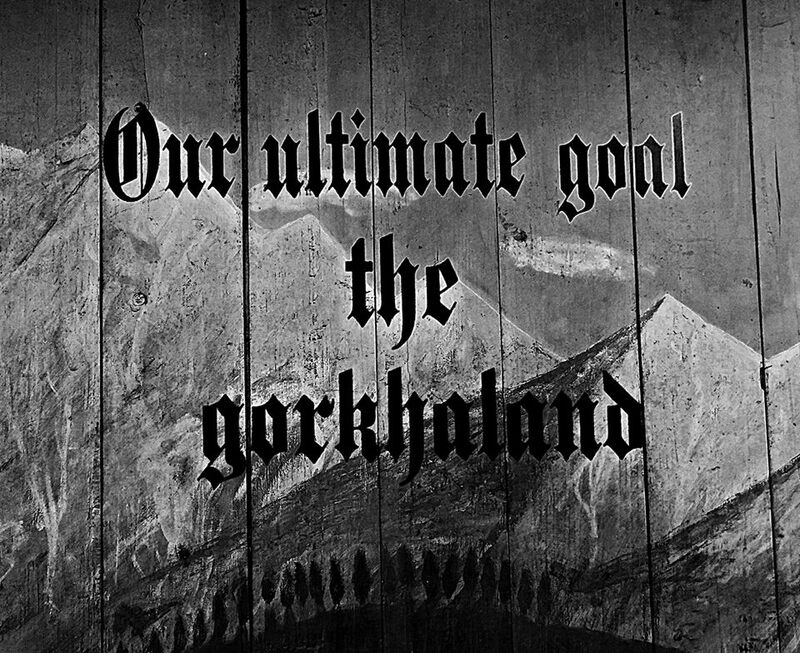 The support for separation from West Bengal is visible extensively in the local shops and restaurants run by people in Darjeeling with Gorkhaland written in the sign boards instead of West Bengal.